Elizabeth (Lizzie) Pinkerton (1984 – 2010) had Tuberous Sclerosis Complex and Polycystic Kidney disease. Lizzie lived a life full of friends, dancing and laughter. She provided inspiration for her family’s involvement in TSA for over 25 years, particularly her mother Sue as President. Dr Helen Whitford, back row, with women with LAM as she received her award. Dr Helen Whitford is a staff specialist in respiratory medicine at the Alfred Hospital with specific interests in Lung Transplantation, Pulmonary Arterial Hypertension and orphan lung diseases. She has taken a particular interest in the lung condition associated with TSC, lymphangioleiomyomatosis (LAM). Thank you to the women with LAM who came to the 2017 Melbourne TSC Information Day to acknowledge Dr Whitford, and to the assistance from LAM Australia Research Alliance for collaborating with us to present this award to Dr Whitford. “Dr Helen Whitford has right from first day I had my first clinic visit at the Alfred Hospital been the most knowledgeable, medical doctor who started the Lam Clinic at the Alfred. Dr Whitford has been patient and very understanding of the ongoing medical issues facing all TSA and Lam patients. The clinic has grown and through her guidance there are other medical students, nurses, interns who rotate to work as a consultant for their experience. Dr Whitford is just amazing, always greets her patients warmly and in a professional manner. Dr Simon Harvey is a paediatric neurologist at Royal Children’s Hospital in Melbourne. Simon was presented with his award the 2017 Melbourne TSC Information Day. Dr Sean Kennedy is a paediatric nephrologist at Sydney Children’s Hospital, Randwick, and Senior Lecturer at the University of New South Wales, where he is an active researcher and teacher. His PhD investigated the role of inflammation in acute kidney disease. Dr Kennedy is experienced in all facets of renal medicine including the management and investigation of urinary tract infection, hydronephrosis, kidney impairment, electrolyte disturbances, haematuria and proteinuria. He has a special interest in the management of children with high blood pressure. He sees patients with kidney disease across the whole spectrum of paediatrics, from babies to adolescents. Dr Kennedy is a member of the TSC clinic at Sydney Children’s Hospital, where he has worked with numerous families with Tuberous Sclerosis Complex. He has provided support and is an advisor to Tuberous Sclerosis Australia. Dr Kennedy’s research interests include acute kidney injury in children; optimising outcomes in adolescents and young adults with kidney disease; renal manifestations of Tuberous Sclerosis Complex; and improving clinical management of congenital anomalies of the kidney and urinary tract. Dr Kate Riney is a Consultant Paediatric Neurologist and Epileptologist, Chair of the Queensland Paediatric Epilepsy Network, and Senior Lecturer at the University of Queensland Mater Children’s Hospital. Dr Riney undertook undergraduate medical studies at University College, Dublin, before qualifying as a doctor. She completed her pre-registration house officer post in the Ulster Hospital, Dun Donald, Belfast, before moving to Australia for her first Senior House Officer post. This post involved working for four years in Queensland, with the last two years spent at the Royal Children’s Hospital in Brisbane. She joined the Royal Australian College of Physicians as a Paediatric Trainee and completed the FRACP examination in July 2000. At this time she returned to Dublin where she worked at the Children’s Hospital, Temple Street, Dublin, in the specialties of Accident and Emergency and Paediatric Neurology. Dr Riney moved to the United Kingdom in 2001, initially working in the Bradford Royal Infirmary, before moving to Great Ormond Street Hospital for Sick Children, London, where she worked in the Paediatric Neurology Department. She returned to Australia and became a Fellow the Royal Australian College of Physicians in March 2003, but continued post-FRACP training in Paediatric Neurology. Her area of particular interest is epilepsy, and in September 2003 she joined the Institute of Child Health as a Clinical Research Fellow and began a three year PhD research project entitled ‘Improving the detection of focal brain abnormality in children with intractable extratemporal epilepsy’. Dr Riney started the Tuberous Sclerosis Complex clinic at Brisbane’s Mater Children’s Hospital in recognition of the co-ordination of care required for children significantly affected by TSC. The aim of this clinic is to assist with the diagnosis of Tuberous Sclerosis Complex and to provide and advisory for children affected by complex issues related to TSC. Dr Riney is highly regarded by her patients, some of whom travel long distances to see her. Besides her busy professional life, Dr Riney is also the mother of two boys. Dr John Lawson completed his medical degree at the University of Newcastle and Diploma of Paediatrics and PhD at the University of NSW. He completed his Neurology Fellowship training at the Sydney Children’s Hospital Randwick and the Miami Children’s Hospital, a Centre of Excellence for epilepsy surgery in the USA. Dr Lawson has an extensive portfolio of research into paediatric epilepsy and neurology. His interests include enhancing the diagnosis and management of children with epilepsy and tuberous sclerosis. Publications have include those on new imaging techniques in childhood epilepsy, the effect of epilepsy on quality of life and cognition, the efficacy of the ketogenic diet for intractable epilepsy and a Novartis sponsored multi-centred international trial investigating the use of everolimus for treatment of SEGA in TSC. 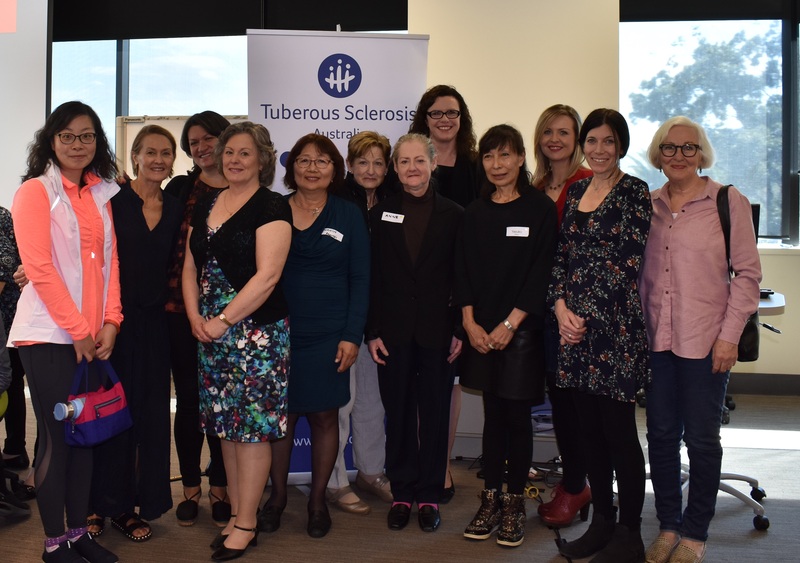 Dr Lawson’s commitment to patients with tuberous sclerosis is evident in his role as co-director of the TSC clinic at Sydney Children’s Hospital and as Medical Advisor to Tuberous Sclerosis Australia. Dr Mowat and Dr John Lawson are co-directors of the Tuberous Sclerosis Multi-disciplinary Clinic at the Sydney Children’s Hospital that commenced in 2006.